A lookout tower dating to the 1930s provides an inspiring perspective. 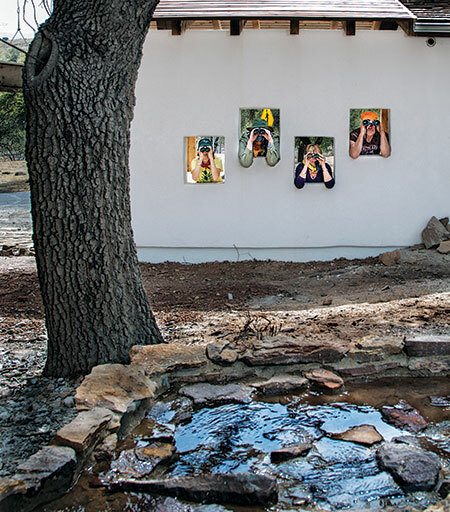 Dawn has just broken above the new Davis Mountains State Park wildlife-viewing station, an L-shaped timber and stucco structure with peek-a-boo portals overlooking a water feature, and birds are everywhere. Mourning doves perch on the station’s low-hanging oak branches as a flock of lesser goldfinch mobs one of several swinging feeders. The petite finches, which range in color from olive to corn yellow, hop herky-jerky around the feeder, peppering tiny thistle seeds onto a host of assorted sparrows waiting below. Far above, a ladder-backed woodpecker tackles some buggy bark, its tack-tack-tack a backbeat to the coos of a dozen corpulent white-winged doves. Meanwhile, a Bewick’s wren makes a splash in the shallows of the station’s man-made stream. Suddenly, a ruby-crowned kinglet appears, followed by a succession of canyon towhees, a black-crested titmouse, and a Pyrrhuloxia. But just as the chattering birds dig into breakfast, a dive-bombing Western scrub-jay squawks and scatters them to the four winds. The aggressive jay, in plumage of gray and radiant blue, alights on a suet log then pokes at its seed-filled cavities, alone and content. Davis Mountains State park hosts both brief and long-term visitations from hundreds of bird species throughout the year. To the uninitiated, this abundant menagerie might seem extraordinary. But birders who frequent Davis Mountains State Park consider the scene routine. This 2,709-acre park, which has served as a favorite summer getaway for heat-weary Texans since its establishment in the 1930s, lies along the southern reach of the Davis Mountains, the largest and highest mountain range entirely within the state. The park hosts both brief and long-term visitations from hundreds of bird species throughout the year. The acreage encompasses a transitional zone between the grassland communities of the upper Chihuahuan Desert and the mountain range’s intermediate elevations, bird-friendly habitat comprised of oak, juniper, and pinyon pine woodlands mixed with shrubs, forbs, and succulents like yucca and agave. The seasonal Keesey Creek runs through the park’s developed midsection; across Texas 118 in the park’s primitive area, cottonwood-filled canyons and spring seeps add to the mix, providing a rich riparian habitat for feeding and nesting sites. Nearby, farther up in elevation, more than 100 bird species, including the flammulated owl, the violet-green swallow, and the Western tanager—a yellow-and-gray songbird with a head the color of enchilada sauce—frequent the mountains to breed and nest. On occasion, some of these birds visit the lower elevations, making an appearance in the state park, where novice and experienced birders have the opportunity to add the sightings to their life lists. The park’s new wildlife-viewing station helps facilitate those sightings by drawing an assortment of creatures to feeders, a fountain, and a native-rock raceway that guides captured rainwater into a small pond just below a set of large viewing windows. Designed to function completely “off-the-grid,” the station has solar-powered batteries that drive the fountain pump, as well as ceiling fans that circulate the mountain air during warm weather. The station isn’t the only improvement you’ll find during a visit to the park, which reopened in December after almost four months of repairs and modifications. 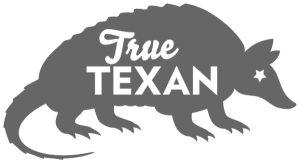 Along with a new septic system and repairs to the bathroom and shower facilities, tent and RV campers will find tidier, more efficient facilities throughout the park—as well as modern conveniences like access to Wi-Fi. But the nightly passel of javelinas that work their way through the campground probably won’t notice the difference. All of these improvements have added a “behind-the-scenes” polish to the park, enhancing past renovation efforts that restored the park’s historic Indian Lodge, an architectural icon of the state park system, to its original handcrafted beauty. Designed in the early 20th-Century Pueblo Revival style and built in 1934-35 by the Civilian Conservation Corps, the Indian Lodge and its hand-hewn woodwork, native rock, stucco, and adobe architecture distinguish it from all other state park holdings. Constructed completely from local materials, Indian Lodge features hand-gathered and assembled stone chimneys, parapets, and terraced wall foundations, as well as timber beams called vigas, which were harvested from the surrounding higher elevations. River cane from the Rio Grande serve as latillas for spanning the spaces between the beams, and the adobe bricks that form the bulk of the construction were made and cured on-site. Visit on a chilly evening and you may find guests gathered in the lobby around a lively blaze in the fireplace. Or hedge your bets for a guaranteed seat at the hearth, and book a weekend getaway in one of the Lodge’s 39 rooms. Also in evidence across much of the park are blackened landscapes from controlled burns, an improvement method that may at first appear more like destruction than enhancement. Wildfires are a constant threat throughout the Davis Mountains region, and memories of the Rockhouse Fire—a 2011 blaze that consumed more than a quarter of a million acres in Jeff Davis and Presidio counties—continue to linger in the minds of area residents and ranchers. Davis Mountains State Park, which lay in the fire’s direct path, served as a Texas Forest Service staging location for battling the blaze. One way to reduce the risk of wildfires like the Rockhouse is to eliminate excess fuel like dead wood and dried vegetation, which accumulates in canyons, arroyos, and on hillsides over time. And the best way to do so is to burn it under controlled circumstances. Natural wildfires were once nature’s way of minimizing fuel build-up and advancing healthy habitat. But human inhabitation has made it nearly impossible to allow naturally ignited wildfires to burn. So biologists attempt to mimic nature by creating and controlling fires where the results—new growth, enhanced habitat, long-term increase of wildlife food sources, and reduction of invasive plant species—can best serve the natural landscape. Controlled burns also protect man-made structures like homes, businesses, and, as is the case in the state park, historic architecture like the Indian Lodge by reducing the risk of an uncontrollable blaze. Across Texas 118 from the park entrance, Limpia Canyon Primitive Area has also seen improvement due to controlled burns. The absence of infrastructure in this section of the park makes efforts to recover landscape and habitat simpler. Limpia Canyon also provides hikers, equestrians, and backpacking enthusiasts an opportunity to explore this particular slice of the Davis Mountains on even footing with nature, if only metaphorically. The primitive area features palisades of red volcanic boulders and an elevation gain of more than 600 feet from the cobbles of Limpia Creek to the grama grass-cloaked ridges above. The primitive area’s rugged topography makes it easy to see why a species like black bear once thrived in the Davis Mountains. Currently, the park offers almost seven miles of rudimentary trails for hikers and equestrians in Limpia Canyon Primitive Area—but no bears. Plans for trail improvements and additions, including better conditions for mountain bikers, are in the works. Meanwhile, hikers and horseback riders can arrange for access to the primitive area at park headquarters. When planning a visit to the primitive area, remember to bring plenty of drinking water and trail snacks. In fact, you might want to stop by the Stone Village Market in Fort Davis on your way to the park and have the folks at the deli counter make you a turkey pastrami sandwich (or a vegetarian version with avocado and cucumbers) for the trail. Stone Village offers organic snacks, fresh produce, and daily baked goods like chocolate-chip cookies and fudge brownies to fuel your trek through Davis Mountains country. Or, if you’re taking a morning hike, you can opt for a filling breakfast buffet at the park’s Black Bear Restaurant. Early birds may also want to take advantage of an unfettered view of the rising sun from atop the park’s Skyline Drive (Park Road 3A) before breakfast. The drive begins at the interpretive center, adjacent to the trailer campgrounds, and switchbacks up the park’s eastern ridge. 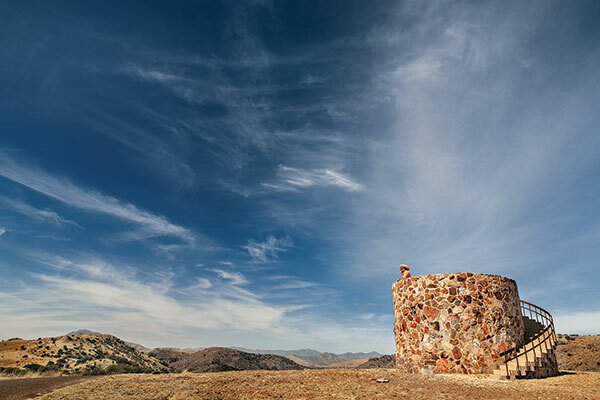 Here, a stone lookout tower, built by the Civilian Conservation Corps as both a viewpoint and water storage tank, offers one of the best spots in Texas to greet the day. A 360-degree field of view encompasses Blue Mountain to the west; the McDonald Observatory domes, Mount Livermore (highest point in the Davis Mountains), and Limpia Canyon to the north; and Fort Davis and Fort Davis National Historic Site to the east. But perhaps the most compelling view lies southward toward Alpine, Marfa, and the Marfa Plateau. Here, high-desert grasslands unravel across a landscape where a sloping alluvial plain hosts hummocks of low rocky outcrops, distant peaks, and dots of scrubby oaks. In the early morning light, shadows race the sun’s slanting rays all the way to the curving horizon, and suddenly it seems as if you are witnessing the entire earth slowly awakening to the dawn.